Having your friends around for a dinner party is great, but there is one area you don’t want to skimp on, and that is the food. Whether you’re celebrating a birthday, having a baby shower, or just an impromptu get together, it’s important your guests don’t go home feeling hungry. Otherwise, it won’t only be their bellies that are grumbling when they leave your home. You want everything to go according to plan without you looking red-faced when your guests arrive, and they wonder why there is a smell of burning coming from the kitchen. So, to help you with your next dinner party, follow this essential guide to help you prepare. Don’t suddenly decide to cook that new recipe that caught your eye online the other day. It is important you prepare food that you already know how to make. Yes, you want to impress your guests, but no matter how skilled you think you are in the kitchen, you don’t want to risk a culinary disaster and end up with something that looks thoroughly disappointing on the dinner table. 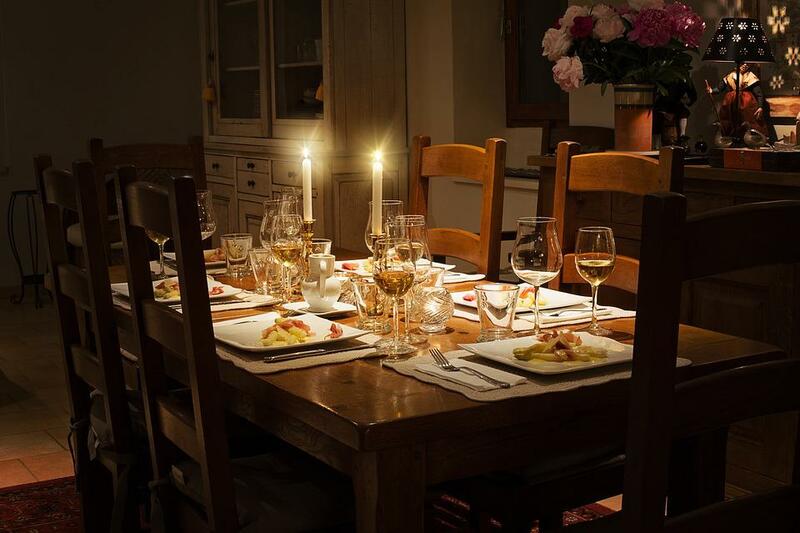 Food isn’t the only aspect of a dinner party you need to think about. You also need to entertain your guests and socialize, so preparing something complicated will mean you are spending too much time away from them. Know your oven size, and choose food that doesn’t require cooking at varied temperatures. You will end up looking more frazzled than the food you are trying to cook if you overcomplicate matters in the kitchen. where and how to order Harris Teeter cakes and you may just find something perfect for your party. Don’t worry too much about the very fussy eaters, as you don’t want to cater for every individual need when they are just being picky. However, you should check with your guests before arrival for any food intolerances, and remember that you may also have vegetarians and vegans in the group. It can be stressful to cook for individual requirements, but there are some great food ideas on our website, including gluten free options to reduce some of your stress in planning. You don’t want to end up in a panic and find yourself cooking last minute right before your guests arrive. Instead, take the time a few days before and plan what food you are going to cook. Make a shopping list and buy all the essential ingredients. Prepare non-perishable food in advance and store it safely. Good planning and preparation will save you time on the day of the dinner party, and will avoid the risk of any potential cooking disasters in the kitchen.